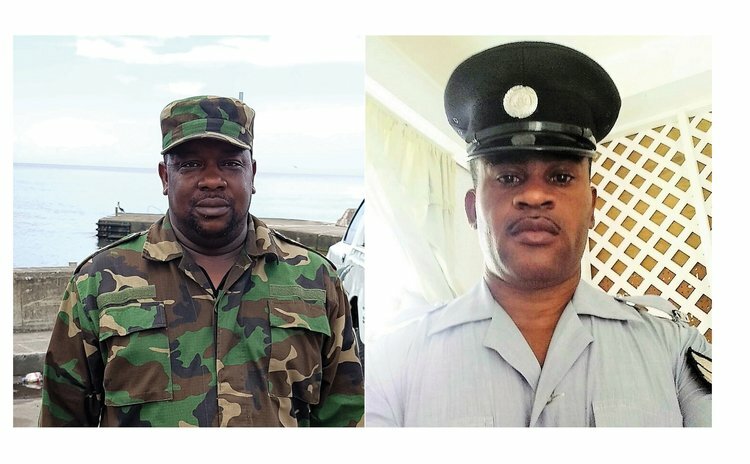 Three police officers, constables Earl George and Jude Vigilant and Sergeant Joeffrey James have filed separate law suits against the Government of Dominica and Police Commissioner Daniel Carbon. Vigilant who is represented by Attorney-at-Law Joshua Francis was arrested for alleged theft after Hurricane Maria; he was granted bail in the sum of EC$10,000 but the matter was thrown out of court for "want of prosecution." Subsequently, he has filed a law suit alleging malicious arrest. Earl George and Sergeant Joeffrey James are both represented by the Gina Dyer Munro from the law firm of Dyer & Dyer. Constable Earl George has been a police officer for the past 23 years. After Hurricane Maria police officers searched his home twice, first for alleged looted items and the second time for drugs. In his suit, George claims that both times the searches were done in the presence of his young children at his home and in the presence of his wife. Nothing was found. He also said that "no warrant was presented to him" at the time of the search. According to his claim form, he has been ridiculed several times by members of the public after the search since it was done in full view of the public. People, he said, called his "dishonest". He regarded the searches as "malicious". He claims damages for trespass, mental anguish and personal injuries along with exemplary and aggravated damages. No date has been set for the Vigilant matter but James and George have been scheduled for a May 24, 2018 hearing. Sergeant James whose house was searched has joined the Attorney General as the first defendant; Inspector George Theophille second defendant; Sergeant Fixton Henderson third; and acting Deputy Commissioner Davidson Valerie as the fourth defendant. James has been a police officer for the past 23 years. In his statement of claim James alleges that on or about 11:30am on October 9 2017 Inspector Theophille, armed with a pistol at that time, along with other police officers knocked his door in Bellevue Chopin. He denied them entry but without his consent they entered. They said they were looking for stolen items. He said the search was conducted in full view of the general public and he felt "shame and humiliated." "I was severely distress as a result of the search and was forced to seek medical attention," he said. Sergeant James also said that he has been met and confronted by many criminals who told him that they "heard that his house was searched and they were surprised." He is claiming damages for trespass, mental anguish and personal injury along with exemplary and aggravated damages. Earlier, senior police officer Cuffy Williams sued the hierarchy of the Dominica Police Force for allegedly searching his home without a warrant.